Dr. Diana Dornbusch Cron is a native of Cincinnati's "West Side," and her childhood pets were patients of Glenway Animal Hospital for many years. She is a graduate of Western Hills High School and Miami University. Prior to entering veterinary school, she worked as a science teacher at Seven Hills Upper School, then as a Clincial Chemist for the Cincinnati health Department. After receiving her DVM degree from Ohio State in 1993, she worked as an associate veterinarian in Maryland, first at Quince Orchard Veterinary Hospital, then at Cumberland Valley Veterinary clinic where she established an exotic animal medicine program. In addition to treating dogs and cats, Dr. Dornbusch has a special interest in treating small animals, such as ferrets and rabbits. She enjoys community outreach that teaches the public about pet health care. She LOVES to match up homeless pets with great pet owners by using our extensive network of pet rescue organizations and awesome clientele. Dr. Brian Cron was born in Cincinnati, but grew up in Celina, Ohio located on Grand Lake St. Mary's. He wanted to be a veterinarian since he was two years old, after his grandmother gave him a set of toy animals. As an undergraduate student at Ohio State Dr. Cron focused on Animal Science and Molecular Genetics. He earned his DVM degree from Ohio State in 1992, and worked for three years as an associate at Shenandoah Veterinary Hospital in Martinsburg, West Virginia. During his time in Martinsburg, Dr. Cron gained extensive experience in small animal medicine, surgery, and emergency medicine. While Dr. Cron enjoys canine and feline medicine and surgery, he also holds special interests in canine and feline dentistry and behavior. 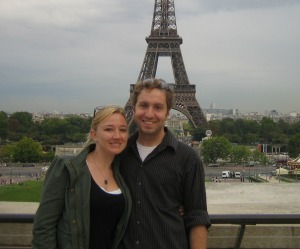 The Crons met while attending veterinary school at Ohio State. 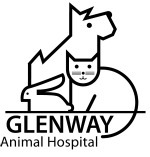 They married in the fall of 1994 and purchased Glenway Animal Hospital from its founder, Dr. Fred Leininger, in the summer of 1995. Their vision of an ideal veterinary hospital has changed with technology, however, the core values all hospital staff must agree to, and live by have remained the same. Animal Advocacy. Best Veterinary Medicine. Best Customer Service. Community Outreach. Facility and Grounds are clean and Welcoming. Teamwork. Continuous Quality Improvement. The Cron's immediate family consists of their 12 year old daughter Elizabeth, Annie, Kathi, Geri, Halloween & Valentine (cats), Easa, & Pixie (dogs), Idgie and New Birdy (cockatiels), Clifford & Nadia (rabbits) and several ever-changing tanks of freshwater fish. In their spare time the Crons enjoy outdoor activities including camping, biking, boating and swimming. Dr. Abby (Teuschler) Schuster was born and raised in Cincinnati, and graduated from Ursuline Academy. She attended Otterbein University where she received her bachelor's degree in pre-veterinary medicine. 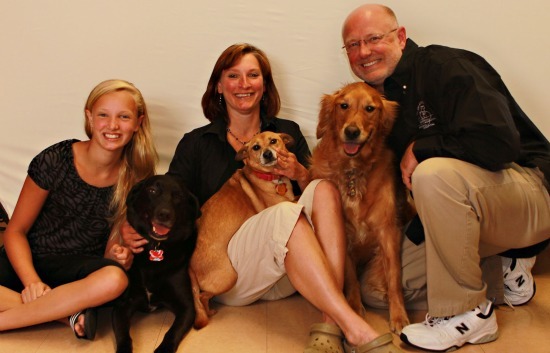 She received her DVM from The Ohio State University in 2009 and has been in private practice in Cincinnati since then. She enjoys many aspects of small animal medicine, especially internal medicine and bettering the lives of pets through preventive care. Dr. Schuster and her husband have 2 cats named Lando and Layla, and a beagle-corgi mix named Kelsey Boo. In her free time she enjoys traveling, baking, playing sports, and cheering on the Buckeyes, Reds, and Bengals.